Goodbye Spring, Hello Summer! 6 Favourite Spring Looks, 2018. Okay, not really, but early June always feels like summer to me and the weather has been playing ball, which is unusual for Scotland. I feel like summer has arrived (albeit temporarily) and I'm embracing it! 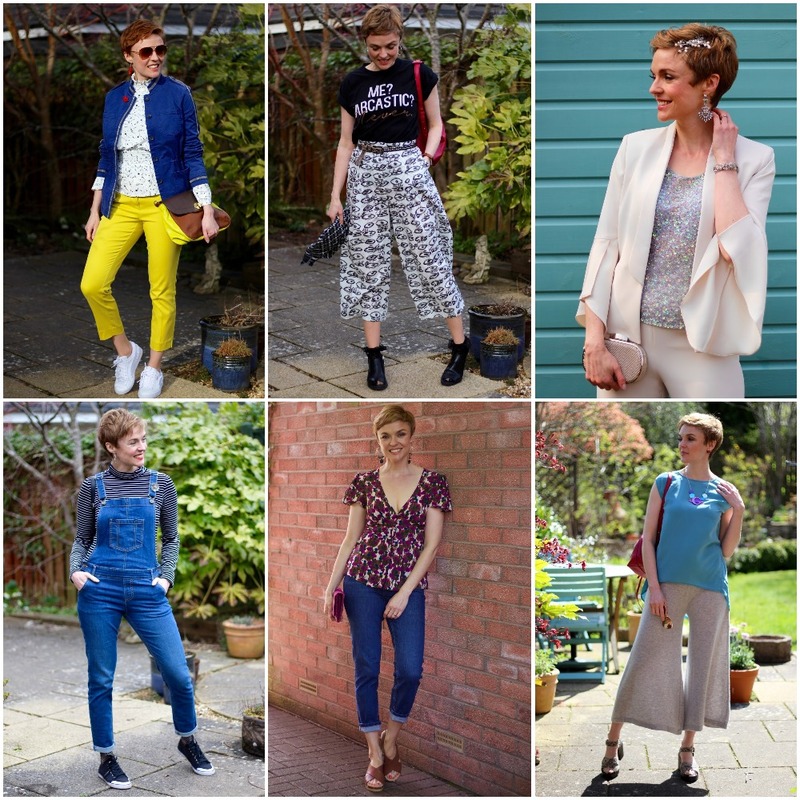 Today is the perfect time for me to pick my favourite Spring outfits of 2018. These 'picks' are not based on post popularity, or views. They are just the outfits I enjoyed wearing the most. This outfit sums up all the things I love about modern fashion. However, I do have a few things to say in this post about some of our favourite brands letting us down when it comes to quality. Pop over and have your say on it too! 2. 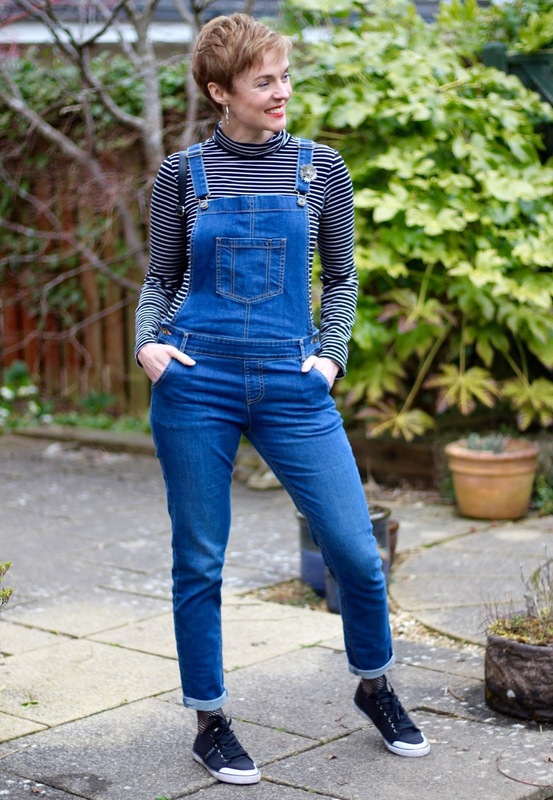 Wearing Dungarees, over 40. I love my dungarees and don't care if anyone thinks I'm too old... or 'too' anything! They're the perfect having-a-lazy-day-but-still-want-to-look-cool outfit choice. 3. 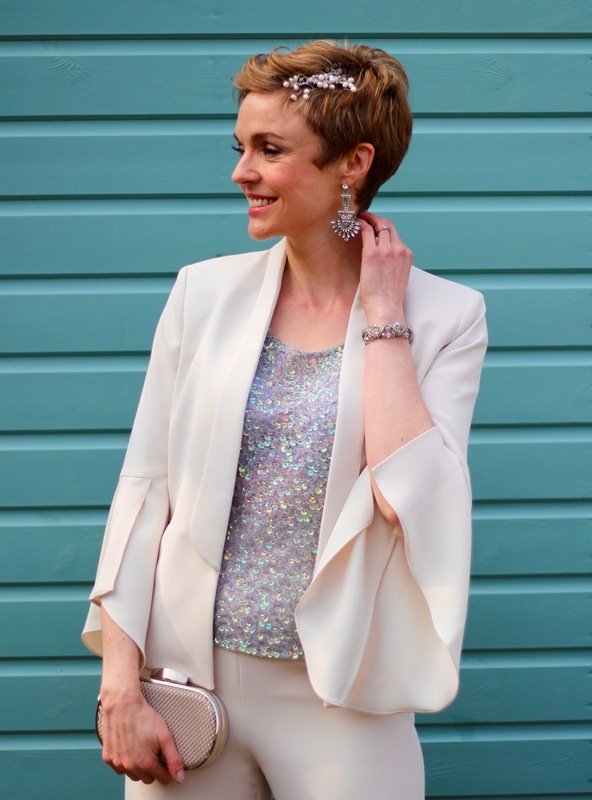 Wearing what you want to a Wedding, unconventional Bride! Is this outfit perfect to wear to a wedding? Would you wear ivory... or even white? What about if you were the Bride?? Come and share your opinion on all things wedding-etiquette related. 4. Spaced out and completely comfy! This outfit is my favourite of the season! PJ-level comfort with delicious fabrics. My idea of the perfect look. 5. Styling a tea blouse over 40. Tea blouses and 'mom' jeans are not just for the cool twenty-somethings. Remember that grown-up girls can wear anything they want! This outfit was a close second choice for me! Easy to wear, but bold, cheeky and striking. There's something quite confidence boosting about wearing a statement Tee... plus, it's a great conversation starter! Please let me know your thoughts on my picks in the comments. I love hearing your opinion! My favourites are looks 1, 3 and 6! I'd personally wear those outfits myself (making little tweaks to suit my hijabi self, of course), but once I find a pair of dungarees that suit me I'd totally throw a striped top underneath just like you did too. I could see you in all three Liyana... just a wee sleeve, scarf and sock added here and there! You are so innately 'cool' so I am hugely flattered (and pretty chuffed!!) that you would wear any of my outfits.... shucks, I'm blushing! 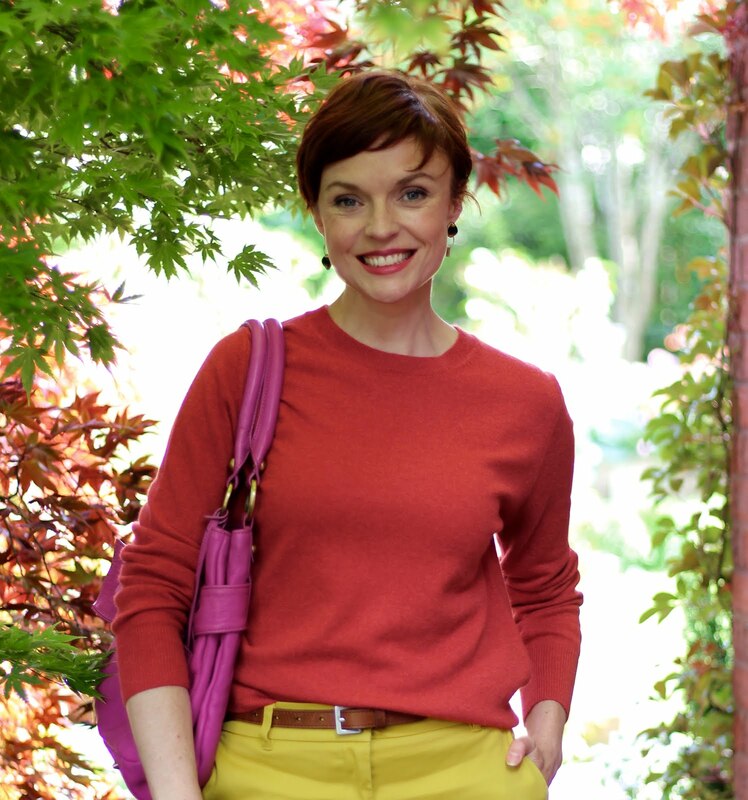 You totally rock your culottes, and they look so comfy and cool! amazing! And my favorite is the wedding outfit, because I think you look particularly fabulous, and it was pretty inspiring for me! Gorgeous! Spring is being warmer in the north of europe than here in Spain. And it's still chilly and rainy!. Crazy spring!! That's bonkers Monica... I hope the sun comes back for July. We are heading over your way (well, Menorca anyway) for the first time in 13 years! Oh Thank you so much Rozanne. 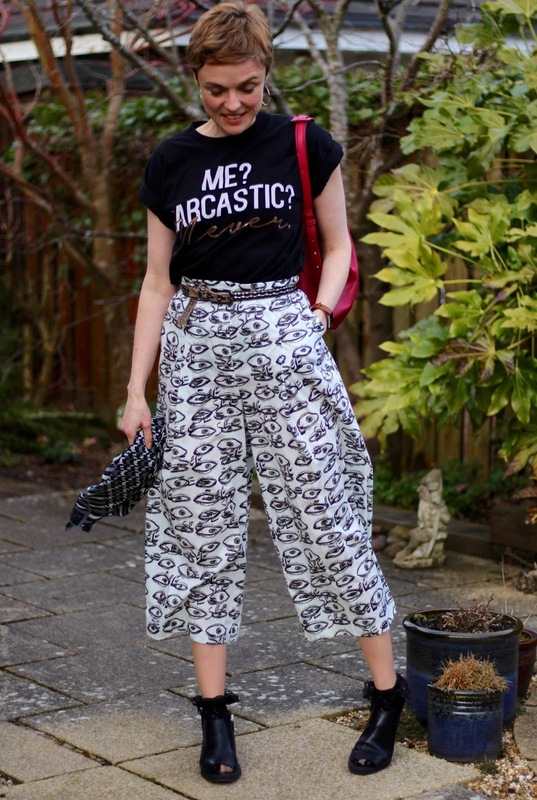 Culottes are tricky, aren't they? I hated them at first and failed in their styling. Strange eh? Maybe the longer length is easier? I don't know but I'm so pleased to have inspired you (made my day! ).